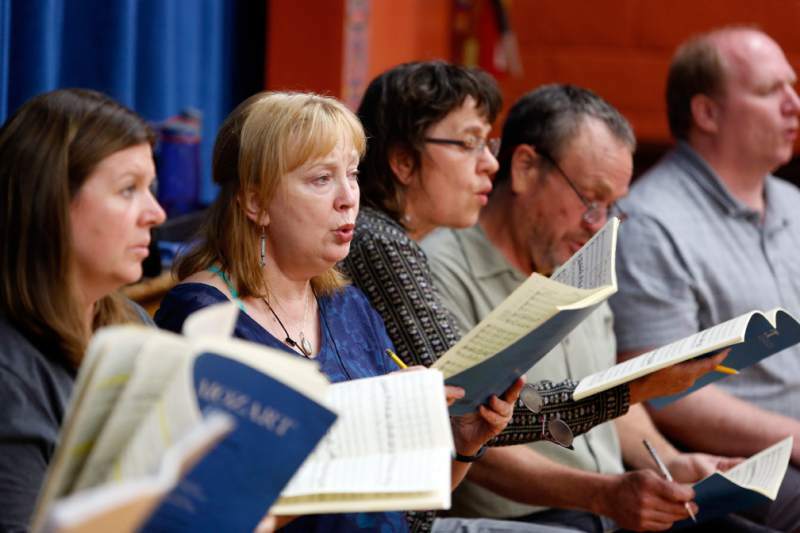 The Sonoma Bach Choir is a group of about 50 gifted singers drawn from throughout Sonoma County. The Sonoma Bach Choir specializes in the music of the Baroque period, with special emphasis on Johann Sebastian Bach; members and audiences alike thrill to the constant inventiveness and incredible degree of feeling in Bach's music. Sponsor a member of the Sonoma Bach Choir! With a gift of $100, you can sponsor a singer from one of Sonoma Bach's wonderful choral ensembles, The Sonoma Bach Choir, Circa 1600, or the Green Mountain Consort. Take this opportunity to recognize these musicians who bring their hearts and voices to our programs. Your name will appear on a poster outside the concert venue, along with the name of the chorus member or section of singers you have sponsored. In addition you will receive two complimentary tickets to the concert where your singer is performing! Click the images below to view a list of singers in each of our choral ensembles. ​and we will be in touch with you regarding your complimentary tickets!